At our law firm, we provide personal attention to our clients in a safe, comfortable environment. Whether you’re looking for a car crash attorney, a truck accident lawyer, or a wrongful death attorney, you’ve come to the right place. We always strive to take care of our clients. Your auto accident lawyer will make every effort to provide you with the compassionate support that you need. A car crash attorney from our firm can provide counsel for a variety of auto accident cases involving negligence and serious injuries. When you choose to work with us, we’ll go the extra mile to make ourselves available to you and guide you through every step of the process. 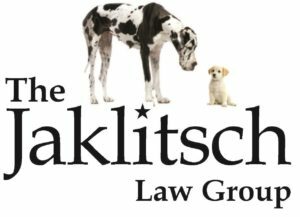 At The Jaklitsch Law Group near College Park, MD, we care about your needs and will work diligently to help you get a fair outcome in your case. We don’t get paid unless you win! Our legal team is on hand to listen to your concerns and connect you with the right car accident attorney or truck accident lawyer. Call us at (866) 586-6079 to schedule a consultation with an auto accident attorney.